We are pleased to announce GMCC-13, the sixth International Conference on Coexistence between Genetically Modified (GM) and non-GM based Agricultural Supply Chains, that will take place in Lisbon, Portugal, on November 12-15, 2013. Agriculture is at the crossroads of the most important challenges of global development: demographic growth, food security and safety, water and environmental resources management, climatic change, energy resources and world trade. Its sustainable growth is therefore complex and calls for the pursuit of different approaches, both locally and worldwide. Developments in farming systems, plant breeding and biotechnology and sustainable use of agricultural biological diversity, among others, allowed the growth and success of conventional, organic, GM and specialty crop production and more opportunities for stakeholders in the food supply chain, including more options for consumers. These advances also gave rise to specific regulatory frameworks for their adoption and to stringent adjustments of segregation and monitoring procedures, which must accommodate an increasing number of new productions and an intricate map of ruling systems across the global marketplace. The resulting technical and economic challenges and solutions are the subject of coexistence search. GMCC-13 is aimed at gathering academic and industry experts, regulators, policy makers and other key stakeholders from around the world to discuss both specific and comprehensive coexistence topics. The preliminary program provides a list of topics to be covered. We are looking very much forward to greeting you at GMCC-13. Con motivo de su 20 Aniversario, se ha iniciado en el día de hoy unas Jornadas internacionales sobre la agricultura intensiva en Europa, y en especial la del sureste español. Inauguradas por el Rector de la UAL, D. Pedro Molina, el director de la Oficina de Representación de la Comisión Europea en España, D. Francisco Fonseca, y el consejero de Agricultura de la Junta de Andalucía, D. Luis Planas. 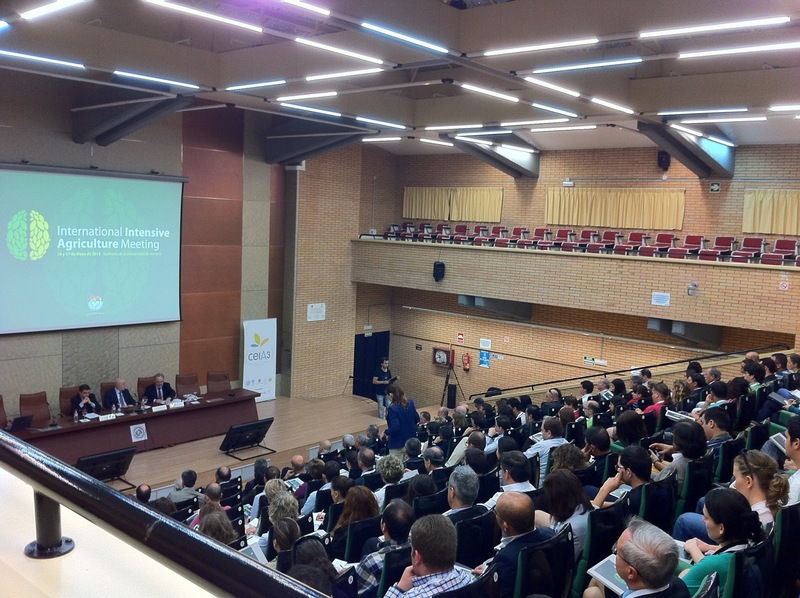 Estas jornadas que transcurren entre el día de hoy y mañana, reúne a multitud de profesionales de la investigación, así como a directivos y técnicos del sector agroalimentario, no solo de la provincia de Almería y del resto de España, si no también venidos de otras partes del planeta. 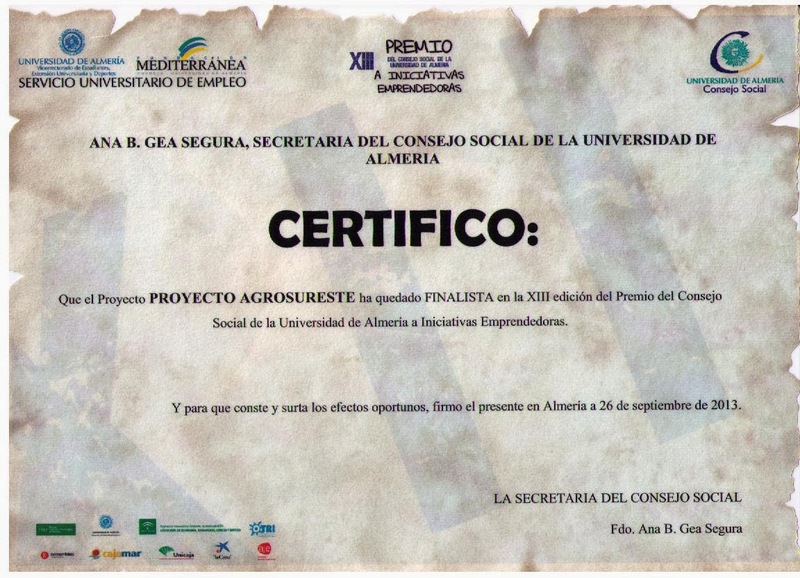 Hemos querido participar varios de los asesores de Agrosureste en estar Jornadas, constatando la buena salud que goza el sector, así como el optimismo que genera este tipo de eventos que nos une como sector y potencia la colaboración de todos los agentes relacionados con el cluster agrícola. Nos quedamos con la reflexión del ponente D. Alfredo Aguilar, vocal de la Comisión Ejecutiva de la Federación Europea de Biotecnología, que ya no es suficiente con investigar, si no que también hay que innovar, como resultado obvio al trabajo de la comunidad científica. Aplicar los conocimientos que genera el sector agroalimentario en la región del sureste español, haciendo de este tipo de agricultura la más innovadora es el éxito de nuestra constancia y tesón; sin olvidarnos, que para continuar y seguir siendo competitivos debemos de, seguir invirtiendo incluso con más recursos y más persistencia. MiaFruto S.A. was formed in 1988 by the present Managing Director of the company, Maria Flygare, with the main objective concentrating on delivering the highest quality fruits and vegetables from Spain to the Scandinavian countries. We also have connections in Italy during the corresponding season. Our Head Office is situated in the Málaga area with a further department in El Ejido (Almeria) and more personnel located in Murcia and Alicante. In the headoffice you will find people speaking fluent English, Spanish, Swedish, and Italian. The company has performed very well during the past few years and today we are able to offer you fruits and vegetables from some of the best cultivators and packing houses in Spain. In Almeria and Alicante we have our own Quality Control Manager who is in oversees the quality of the produce, the packing and the loading etc. In the Spanish season in the Almeria area starts in September with vegetables such as cucumber, tomatoes, capsicums, beans, zucchini, aubergine (see our Products page) etc. and lasts until May. In Murcia where we have all kinds of salad ingredients, cauliflower, broccoli and leeks, the season starts in October and lasts until May. We have onions from Ciudad Real and garlic from Valencia. Finally we also offer grapes from the Murcia area (when they are in season), avocado from Málaga and asparagus from Granada. In the spring and summer we can also deliver all kinds of Melons from the Almeria and Murcia areas.